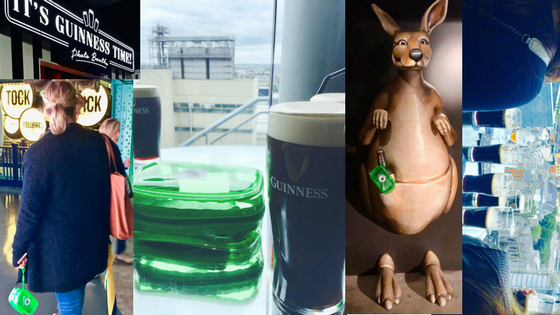 If you’re looking for things to do in Dublin – The Guinness Storehouse should be top on your list! Start your adventure at the bottom of the world’s largest pint glass. Make your way through seven floors filled with funky aesthetic while discovering the history of Guinness. Sit down at one of the restaurants and take in the experience while listening to some live Irish music. Finally, end your adventure with pouring your very own pint of Guinness and enjoy drinking it on the rooftop bar! Get through the crowd faster and purchase your tickets online HERE! What you might not know about Guinness…. The Storehouse was built in 1904 – it was used for fermenting beer until 1988! Guinness is suitable for all dietary restrictions – even VEGANS!